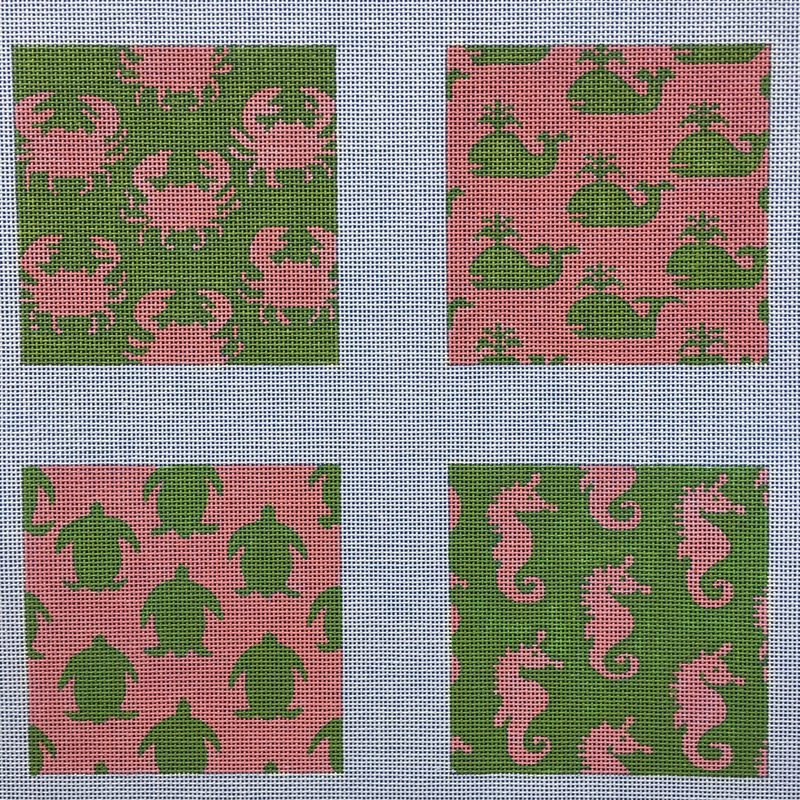 These Kate Dickerson coasters in pink and green are Preppy Handbook approved! Painted on 18 mesh and each coaster is 4 inches in length and width. You will need to purchase a set of coasters to hold these cuties or have them traditionally finished.